Who doesn’t love a good burger? I don’t know a single person who does not. A burger that is healthy, organic, trans-fat free, fresh and flavorful is something which was unheard of years ago. But thanks to burger joints like Elevation Burger we have healthy burgers. 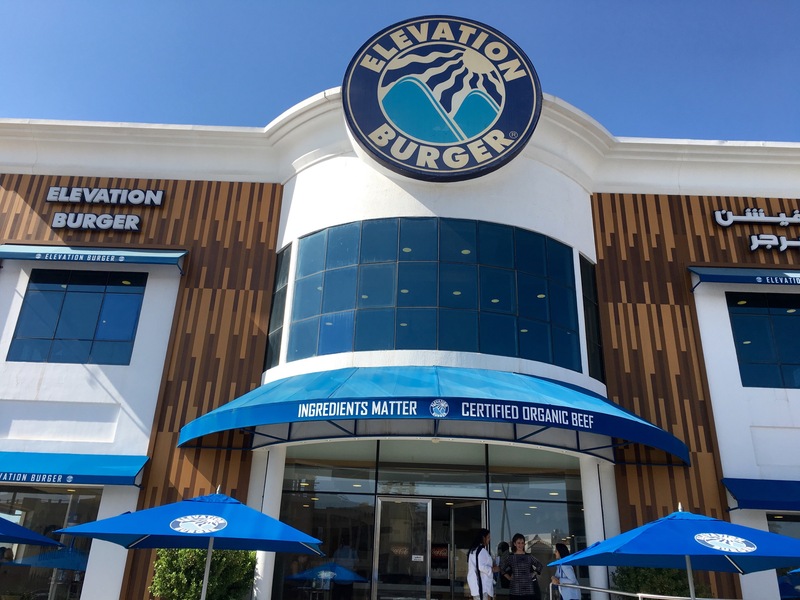 Elevation Burger is a US burger chain that started operating here recently in 2013. They already have many branches here. A few days ago I received a special invite in my mailbox. 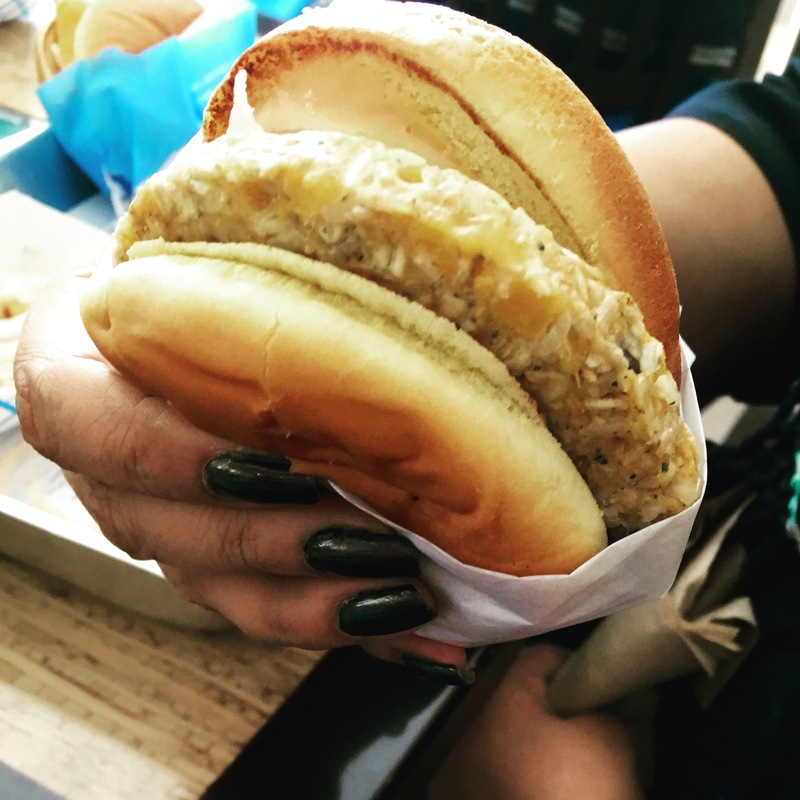 It said, ‘ you are invited to experience the first hatching in town at Jumeriah branch.’ I was curious and couldn’t wait to visit Elevation burger’s Jumeriah beach road branch. I reached there on time with my friend Anita, who is an amazing baker and expert on food. The atmosphere was friendly and festive. We liked the place. It is very big and spacious with indoor and outdoor seating. The best part for me is the fact that on the first floor of the restaurant they have a massive kids play area. As a parent I always look out for places like these, so that my kids are also happy and content. They launched their new organic chicken range: BBQ cheddar and Buffalo chicken. Yes, that was the hatching all about. 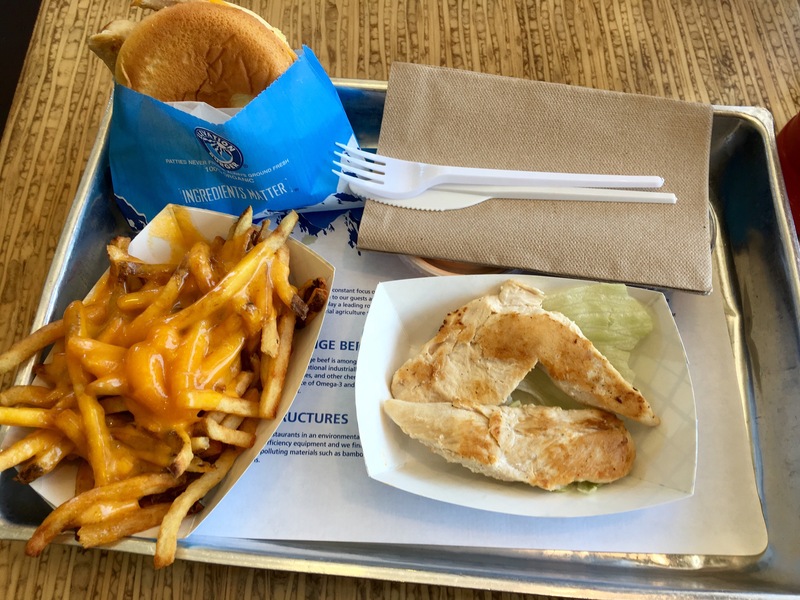 Elevation Burger serves 100% Organic, grass fed, free range beef burgers and now they serve organic chicken too. Anita tried the Buffalo chicken burger and chicken tenders and I had the Veggie burger. We also had the fancy fries, Caesar salad, Cookies and Milkshake. Anita said her Buffalo chicken made with organic chicken tenderloins, lettuce, cheddar cheese and creamy buffalo sauce was slightly spicy, tender,tasty and flavourful. She liked it and gave a thumbs up for chicken tenders. My veggie burger had perfect blend of veggies, grains and cheese, with toppings of my choice like lettuce,tomato, pickles and raw onions. It was flavorful, hearty and delicious. Both our burgers were fresh, light and non greasy. All their fries are made with olive oil. We had the fancy fries, it comes with melted cheddar cheese on the top. It was good, but you need to eat it soon because when it gets cold, it gets quite sticky. 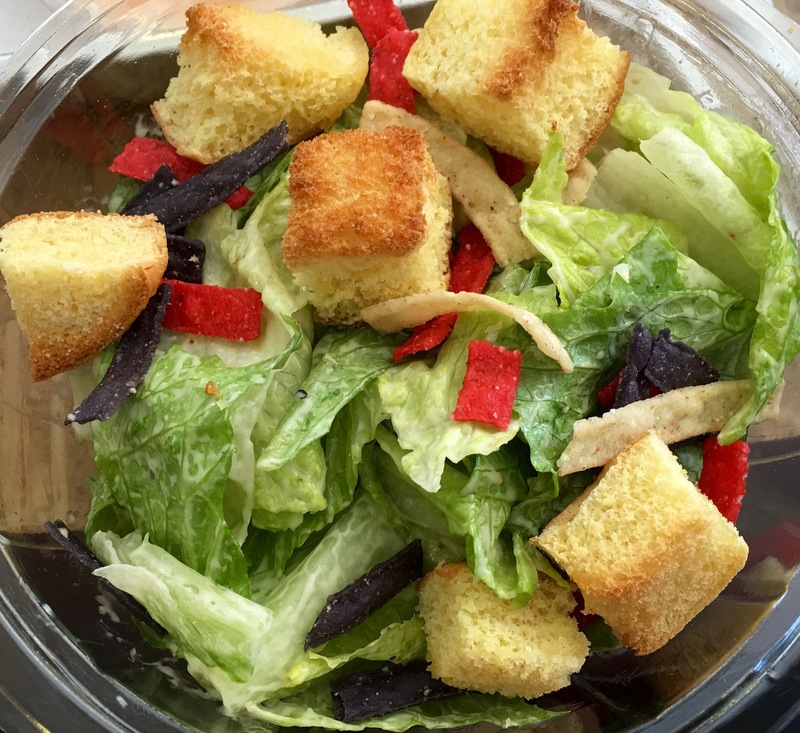 The Caesar salad was okay. It was a good accompaniment with our meal. 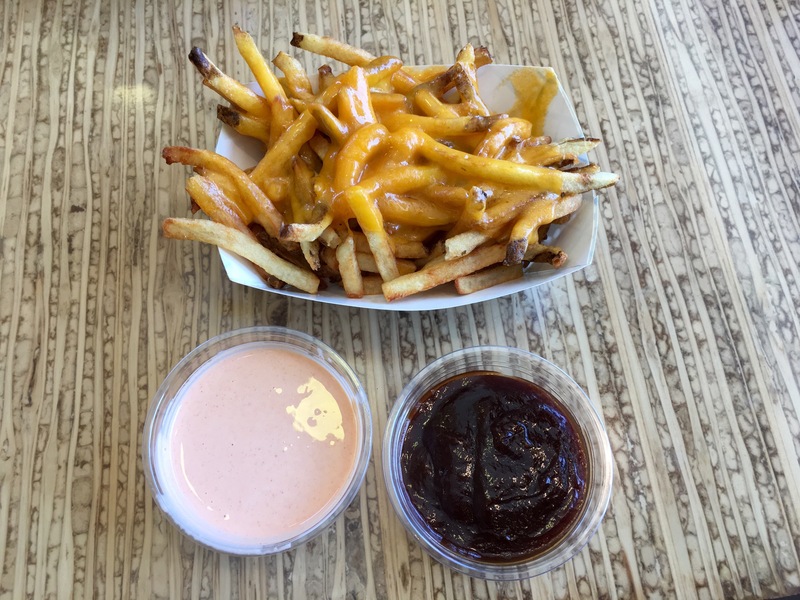 They have many kinds of sauce, but our favorite was the BBQ sauce. It was sweet, smoky and tangy. We can customize our own milkshakes. All you have to do is choose a flavor, choose toppings and ice cream. I had a vanilla milkshake with organic cheesecake crumbs and chocolate drizzle. It was excellent. You also have an option of refillable fountain drinks, if you don’t want to have the milkshake. Sweets and I always go together. 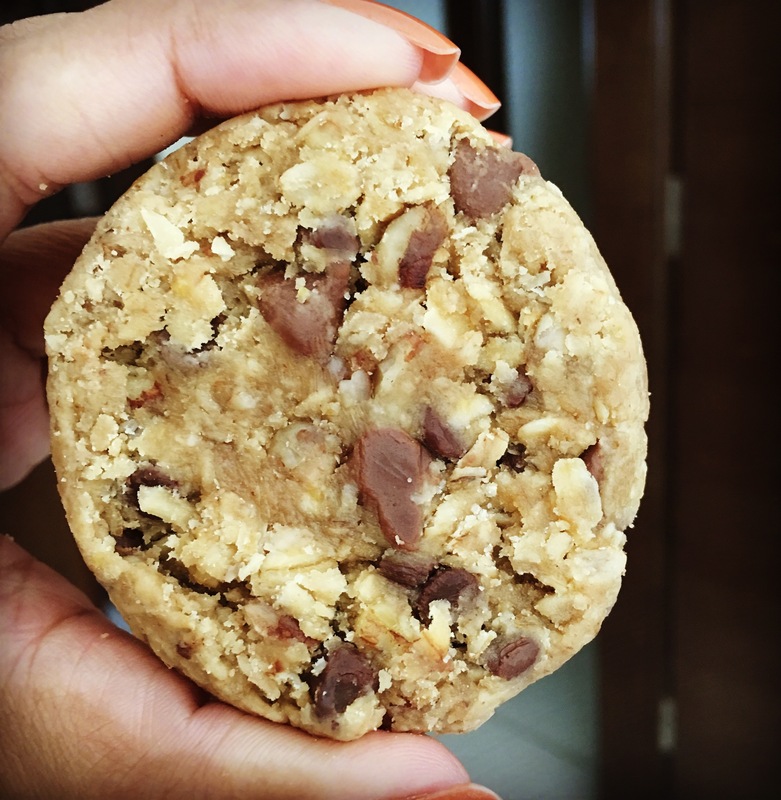 So how can I think of finishing my meal without taking a bite from their freshly baked chocolate chip, oatmeal and pecan cookies made with organic eggs and butter. They come in two sizes, large single cookie or three small cookies. This freshly baked goodie was amazing. The service is good. The staff are knowledgeable, friendly and helpful. They serve tasty and healthy food. 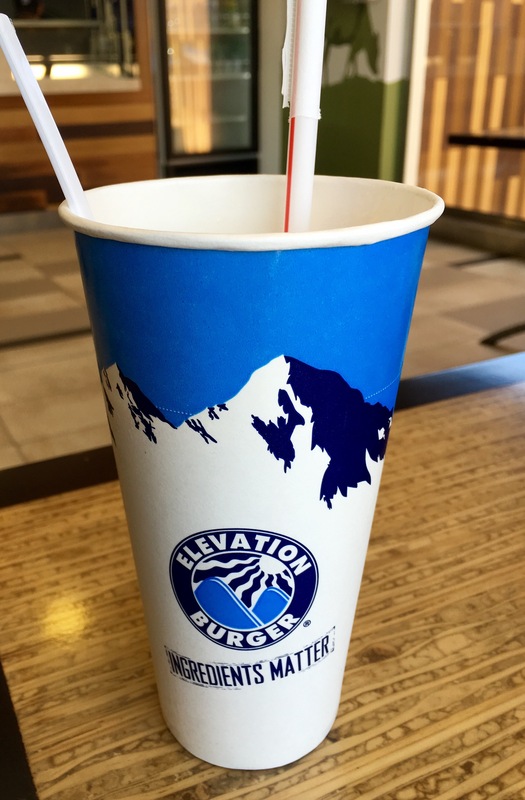 Elevation Burger is a must-visit place for burger cravings. Prev Is Everyone Hanging Out Without Me?